As voted for by 30 of our writers, here are the Albums of 2018…in three sections; 50-25 on Saturday and the Top 25 on Sunday. The Number One received more than twice the votes as the second place. The next forty were hotly contest with the narrowest of margins, and the rest got the same number of votes -so are in random order to be frank. But… Every one is a winner! 2018 was a great year for music and here are Numbers 51 – 200 the ones In No Particular Order. 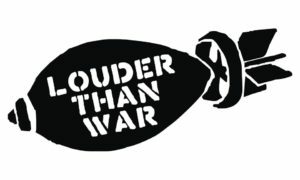 Note: Completely different list/order to our sister Print Publication Louder than War Magazine. The Good, the Bad and the Queen: Merrie land. Mike Ainscoe said here that … their songs may be being heralded as Folk Award nominees/winners. Watch this space for an “I told you so” if they do. In the meantime, just wallow in the simple pleasure of listening to two musicians in harmonic empathy. Debut album by Bournemouth band. For fans of Dylan, the Byrds, Teenage Fanclub and REM, melody & musicianship and English Americana. Reviewed here. 76 Interrobang‽ : Interrobang‽ This really is a fantastic album… an emotional, funny, stark, honest work that succeeds as a stand alone work of autobiographical rage and self-analysis…. that you can dance to. Said Ged Babey here. And you can google the rest, adding Louder Than War or search on Youtube. Marissa Nadler – For My Crimes. The Virginmarys – Northern Sun Sessions. The Struts – Young + Dangerous. The Peawees – Moving Target. Jeffrey Lewis: Works by Tuli Kupferberg. Paul Weller – True Meanings. Numbers 50 -26 will be up tomorrow and the Top 25 on Sunday. Compiled by Ged Babey from votes from John Robb, Nigel Carr, Mike Ainscoe, Neil Hodge, Gus Ironside, Paul Scott Bates, Simon Tucker, Matt Mead, Cassie Fox, Ian Canty, Nathan Brown, Tim Cooper, Arash Torabi Hal Incandenza, Christopher Lloyd, Melanie Smith, Keith Goldhanger, Neil Johnson, Nathan Whittle, John Kean, Wayne Carey, Ged Babey, Mark Ray, Paul Grace, Emily Oldfield, Phil Newall, Dom Wals, Cazz Blasé, Naomi Dryden-Smith and Ioan Humphreys.